Our online store is open for business. Shop now. Stanhay precision belt planters are renown for their low seed drop and remarkable versatility. They plant every seed type from carrot to beans. When used with coated seed, Stanhay's accuracy is nearly perfect. 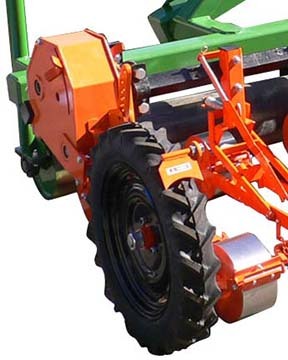 Stanhay planter parts are not available in our online store, but seed belts, bases, and other common repair parts are readily available and can be ordered by phone: 866/280-6229. Most orders are shipped same day. S870 parts diagrams are available upon request. 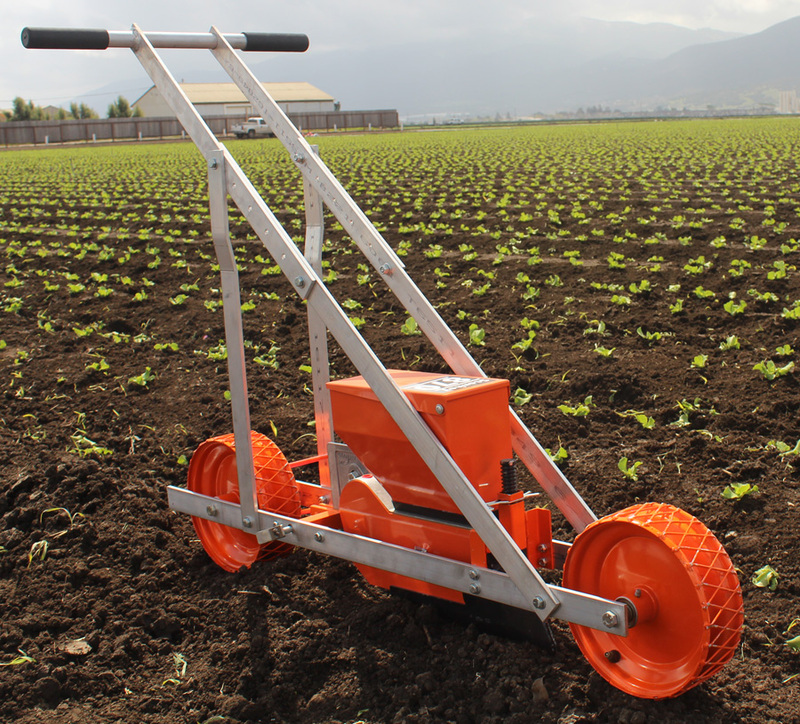 The Stanhay S870 Belt Planter has long been known as the standard of the lettuce industry. For over 50 years, row crop growers have relied on the S870 for accurate depth control and spacing. Each S870 metering unit plants up to 3 lines per row, making it ideal for many types of operations. 15 and 18-row S870 planters are common, but practically any number of rows is possible. Exact S870 row unit pricing depends on options and setup. 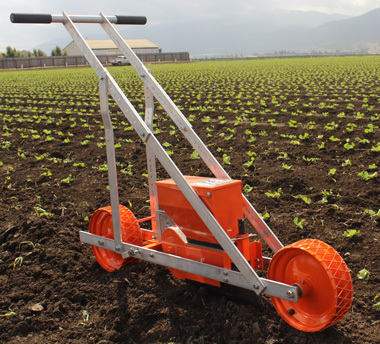 The Robin Unit Wheel Drive with S870 metering unit is designed for growers with limited acreage or small blocks. A high-traction rear cage wheel drives each Robin unit, eliminating the need for a drive wheel, which affords Stanhay quality to the smaller operation. 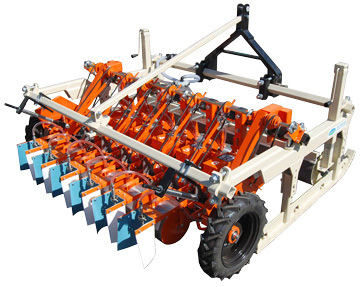 The toolbar mounted Robin plants up to 3 lines per row with practically any number of rows. Exact Robin row unit pricing depends on options and setup. 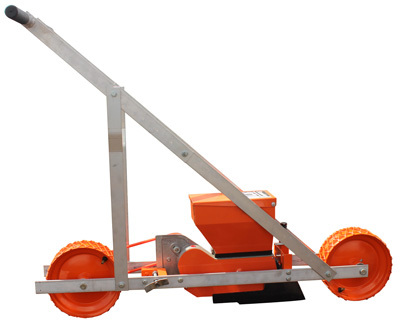 Our single-unit, Aluminum Robin Push Planter is ideal for trial work or small plots that require the precision and accuracy of Stanhay. Driven by rear cage wheel for better traction. 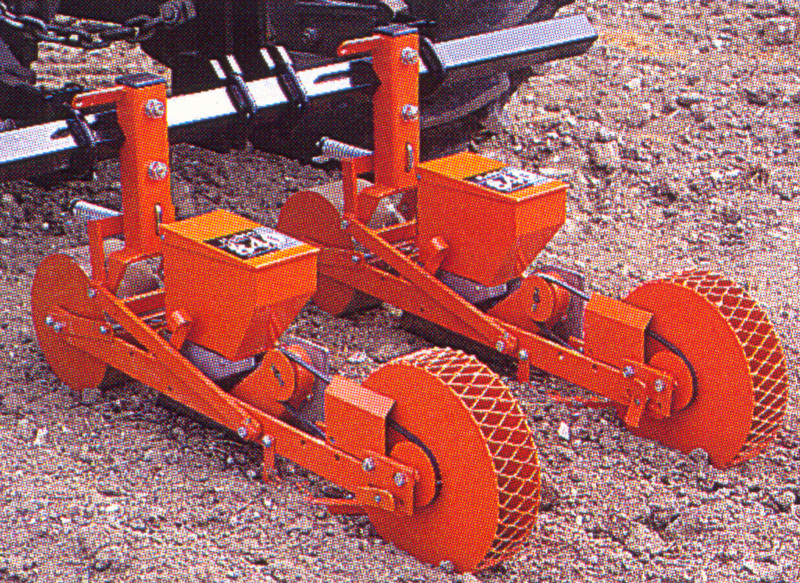 Stanhay's large diameter land wheels with deep lug tires provide positive drive to the metering units. 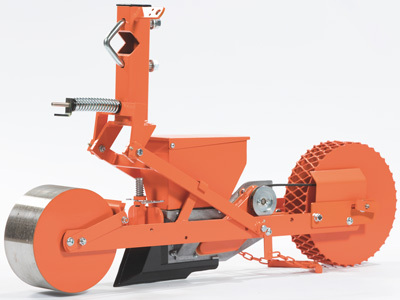 Close ratio chain drive system gives full choice of up to 60 seed spacings and comes in 2 sizes: standard and XL. 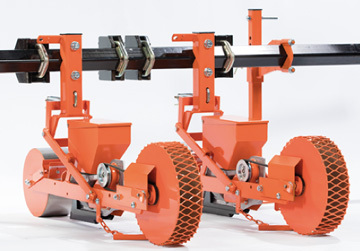 Easy seed spacing and height adjustment allows for planting on flat or raised seedbeds up to 12-inches high. 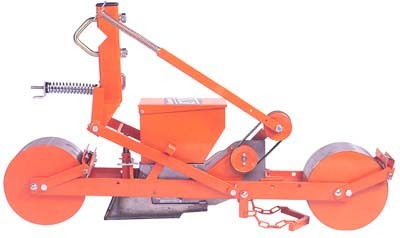 Ideal for coated seed, Stanhay belt planters plant almost all small vegetable seed at any spacing pattern. 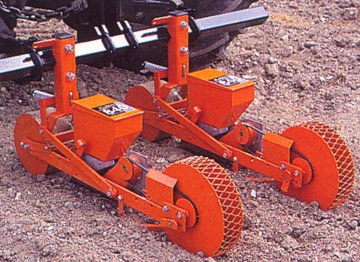 A wide range of coulters (ground opener) allows you plant in specific patterns and densities to manipulate the size and shape of your crop. Coulter pricing ranges from $125 to $376 depending on width and number of lines. 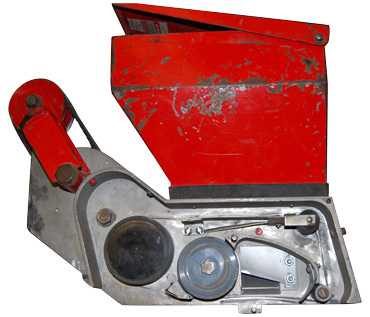 Is your Stanhay belt planter in a state of disrepair? Need parts or modification? If so, check our Stanhay Services page. From basic metering unit tune-ups to complete planter rebuilding, we specialize in honest, reasonably priced planter repair service. 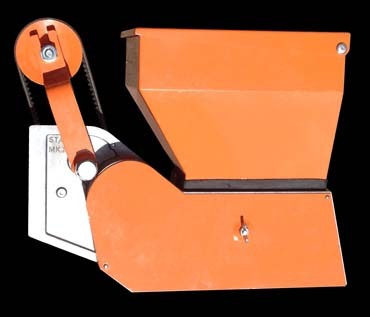 We also offer manuals and a wide array of parts new and used for do-it-yourself planter repairs. Stanhay S870 metering unit in need of repair. Prices subject to change without notice. F.O.B. Salinas, California, USA. Your source for pest bird control products and precision farm equipment since 1956.